. . . Kidney stones, one of the most painful of the urologic disorders, have beset humans for centuries. Scientists have found evidence of kidney stones in a 7,000-year-old Egyptian mummy. Unfortunately, kidney stones are one of the most common disorders of the urinary tract. Each year, people make almost 3 million visits to health care providers and more than half a million people go to emergency rooms for kidney stone problems. Most kidney stones pass out of the body without any intervention by a physician. Stones that cause lasting symptoms or other complications may be treated by various techniques, most of which do not involve major surgery. Also, research advances have led to a better understanding of the many factors that promote stone formation and thus better treatments for preventing stones. A less common type of stone is caused by infection in the urinary tract. This type of stone is called a struvite or infection stone. Another type of stone, uric acid stones, are a bit less common, and cystine stones are rare. Kidney stones in the kidney, ureter, and bladder. Urolithiasis is the medical term used to describe stones occurring in the urinary tract. Other frequently used terms are urinary tract stone disease and nephrolithiasis. Doctors also use terms that describe the location of the stone in the urinary tract. For example, a ureteral stone—or ureterolithiasis—is a kidney stone found in the ureter. To keep things simple, the general term kidney stones is used throughout this fact sheet. In addition, more than 70% of people with a rare hereditary disease called renal tubular acidosis develop kidney stones. Cystinuria and hyper oxaluria are two other rare, inherited metabolic disorders that often cause kidney stones. In cystinuria, too much of the amino acid cystine, which does not dissolve in urine, is voided, leading to the formation of stones made of cystine. In patients with hyper oxaluria, the body produces too much oxalate, a salt. When the urine contains more oxalate than can be dissolved, the crystals settle out and form stones. Other causes of kidney stones are hyper uricosuria, which is a disorder of uric acid metabolism; gout; excess intake of vitamin D; urinary tract infections; and blockage of the urinary tract. Certain diuretics, commonly called water pills, and calcium-based antacids may increase the risk of forming kidney stones by increasing the amount of calcium in the urine. Sometimes “silent” stones—those that do not cause symptoms—are found on x rays taken during a general health exam. If the stones are small, they will often pass out of the body unnoticed. Often, kidney stones are found on an x ray or ultrasound taken of someone who complains of blood in the urine or sudden pain. These diagnostic images give the doctor valuable information about the stone’s size and location. Blood and urine tests help detect any abnormal substance that might promote stone formation. A person who has had more than one kidney stone may be likely to form another; so, if possible, prevention is important. To help determine their cause, the doctor will order laboratory tests, including urine and blood tests. 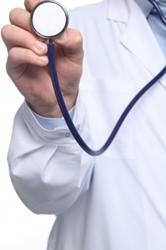 The doctor will also ask about the patient’s medical history, occupation, and eating habits. If a stone has been removed, or if the patient has passed a stone and saved it, a stone analysis by the laboratory may help the doctor in planning treatment. Fortunately, surgery is not usually necessary. Most kidney stones can pass through the urinary system with plenty of water—2 to 3 quarts a day—to help move the stone along. Often, the patient can stay home during this process, drinking fluids and taking pain medication as needed. The doctor usually asks the patient to save the passed stone(s) for testing. It can be caught in a cup or tea strainer used only for this purpose. A simple and most important lifestyle change to prevent stones is to drink more liquids—water is best. Someone who tends to form stones should try to drink enough liquids throughout the day to produce at least 2 quarts of urine in every 24-hour period. 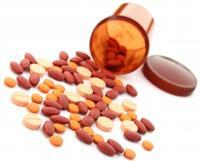 A doctor may prescribe certain medications to help prevent calcium and uric acid stones. These medicines control the amount of acid or alkali in the urine, key factors in crystal formation. The medicine allopurinol may also be useful in some cases of hyper uricosuria. Rarely, patients with hypercalciuria are given the medicine sodium cellulose phosphate, which binds calcium in the intestines and prevents it from leaking into the urine. If cystine stones cannot be controlled by drinking more fluids, a doctor may prescribe medicines such as Thiola and Cuprimine, which help reduce the amount of cystine in the urine. For struvite stones that have been totally removed, the first line of prevention is to keep the urine free of bacteria that can cause infection. A patient’s urine will be tested regularly to ensure no bacteria are present. People with hyperparathyroidism sometimes develop calcium stones. Treatment in these cases is usually surgery to remove the parathyroid glands, which are located in the neck. In most cases, only one of the glands is enlarged. Removing the glands cures the patient’s problem with hyperparathyroidism and kidney stones. Several types of ESWL devices exist. Most devices use either x rays or ultrasound to help the surgeon pinpoint the stone during treatment. For most types of ESWL procedures, anesthesia is needed. In many cases, ESWL may be done on an outpatient basis. Recovery time is relatively short, and most people can resume normal activities in a few days. Complications may occur with ESWL. Some patients have blood in their urine for a few days after treatment. Bruising and minor discomfort in the back or abdomen from the shock waves can occur. To reduce the risk of complications, doctors usually tell patients to avoid taking aspirin and other medicines that affect blood clotting for several weeks before treatment. Sometimes, the shattered stone particles cause minor blockage as they pass through the urinary tract and cause discomfort. In some cases, the doctor will insert a small tube called a stent through the bladder into the ureter to help the fragments pass. Sometimes the stone is not completely shattered with one treatment, and additional treatments may be needed. As with any interventional, surgical procedure, potential risks and complications should be discussed with the doctor before making a treatment decision. In this procedure, the surgeon makes a tiny incision in the back and creates a tunnel directly into the kidney. Using an instrument called a nephroscope, the surgeon locates and removes the stone. For large stones, some type of energy probe—ultrasonic or electrohydraulic—may be needed to break the stone into small pieces. Often, patients stay in the hospital for several days and may have a small tube called a nephrostomy tube left in the kidney during the healing process. Although some stones in the ureters can be treated with ESWL, ureteroscopy may be needed for mid- and lower-ureter stones. No incision is made in this procedure. Instead, the surgeon passes a small fiber-optic instrument called a ureteroscope through the urethra and bladder into the ureter. The surgeon then locates the stone and either removes it with a cage-like device or shatters it with a special instrument that produces a form of shock wave. A small tube or stent may be left in the ureter for a few days to improve urine flow. Before fiber optics made ureteroscopy possible, physicians used a similar “blind basket” extraction method. But this technique is rarely used now because of the higher risks of damage to the ureters. Researchers are also developing new medicines with fewer side effects. A good first step to prevent the formation of any type of stone is to drink plenty of liquids—water is best. Someone who is at risk for developing stones may need certain blood and urine tests to determine which factors can best be altered to reduce that risk.